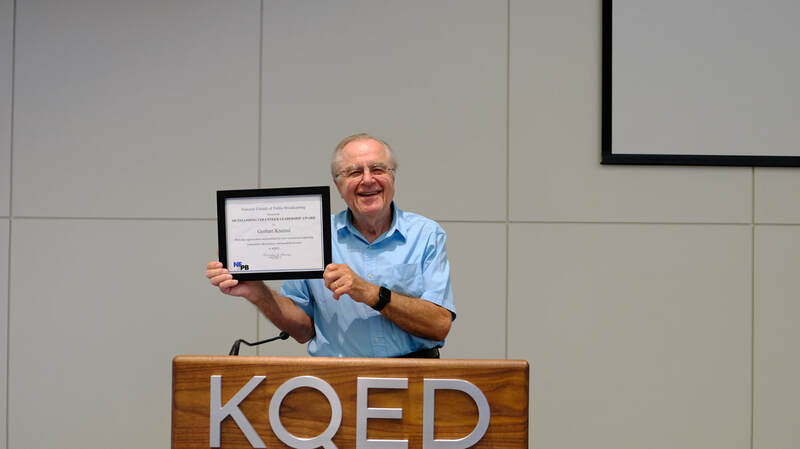 Gerhart received his award at KQED's All Staff Meeting. Gerhart Kneissl is a long time supporter of public television beginning with his financial support of WBUR in Boston. In 1996 he relocated to the San Francisco Bay Area and became a financial supporter of KQED and a volunteer upon his retirement in 2004. 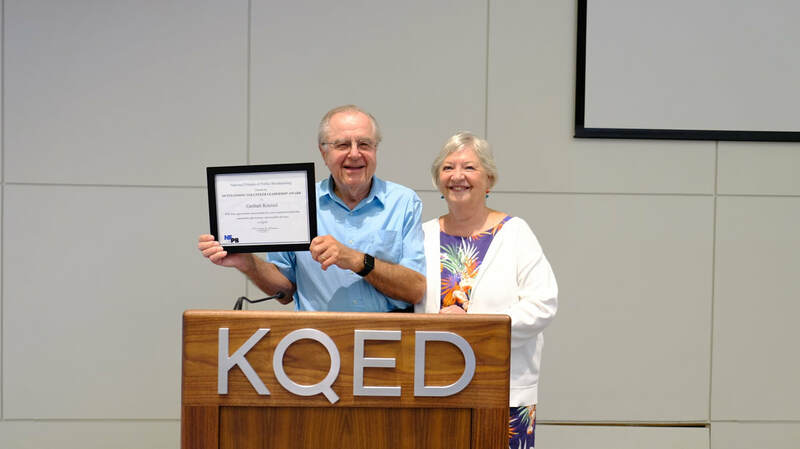 In 2007, Gerhart was honored with the McNeil Volunteer Award based on numerous nominations from fellow volunteers and from the KQED staff. In the intervening years he has not only exemplified that award but raised the bar. As most volunteers, Gerhart began by answering phones during our television and radio drives, but soon assumed the role of shift supervisor which included such duties as pledge set up, training new volunteers, and assisting volunteers when questions arose. Gerhart’s reliability and willingness to volunteer has made him an invaluable member of our volunteer staff. By way of example, KQED conducts three, 14-day FM radio pledge drives each year and relies on volunteers to man phone banks during the morning and afternoon commute times. One of the more challenging tasks the station faces is enlisting volunteers to work the morning shift from 6:45 to 9:00 AM. Supervisors are needed at 6:00 to setup, welcome, and train new volunteers. 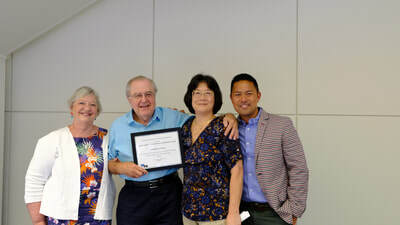 Gerhart’s contribution and dedication during these pledge drives cannot be overstated: he volunteers for every weekday morning and has been doing so for a number of years. This means he must leave his home at approximately 5:15 and contend with Bay Area commute traffic to arrive at the station by 6:00. A daunting task for a man in his prime but even more so for a man in his 83rd year! But Gerhart’s volunteerism extends beyond just supporting our pledge drives. He assists with KQED productions such as Jacque Pépin cooking specials and the “Check Please, Bay Area” series. He volunteers to support various KQED off-site events such as ushering at the advanced showing of new PBS series and setting up for the popular Check Please, Bay Area Taste & Sip fundraiser which features over 50 Bay Area chefs and a number of California vintners. On top of that, he is an on-call KQED Docent. with those who share our passion for public service.